Creamline Dairies (www.creamline.co.uk) – the long established, Trafford based family company – continued to show its support for Cheshire farmers by sponsoring the show’s principal sponsorship of the main ring, for the second year running. Pulling out all the stops for the two day event, Creamline is planning new and exciting eye-catching activities to engage visitors. Back by popular demand, celebrity chef Nigel Brown will be treating the crowd to a series of cookery demonstrations, using Creamline’s range of store-cupboard staples and previewing its fruit and vegetable range, which is set to be launched this autumn. Visitors should also watch out for Creamline’s helpers – easily spotted in their stand-out cow print onesies – who will be sampling the dairy’s delicious produce and handing out goodies such as a selection of fabulous recipes to try at home. Committed to supporting the communities it serves, Creamline has joined forces with the Cheshire Show, HSBC and the North West Farmers Trust, to introduce a bursary for Salford Primary schools to enjoy a Cheshire Show Experience. In order to win, schools had to show their artistic side and suggest a name for Creamline’s pantomime cow – who will be making a guest appearance at the event. Year 2 students from the winning St Paul’s CE Primary School will receive an exciting, hands-on day at the countryside event. Passionate about providing local produce for local people, Creamline has reduced milk miles to within a 30 mile radius of their Greater Manchester headquarters. 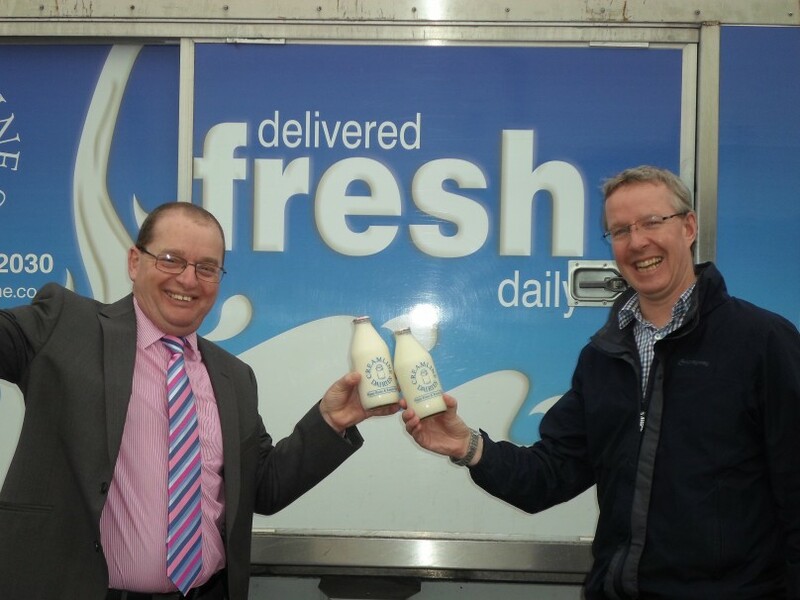 Its online delivery service supplies thousands of homes and hundreds of independent milk businesses throughout the North West with fresh milk and store cupboard essentials.